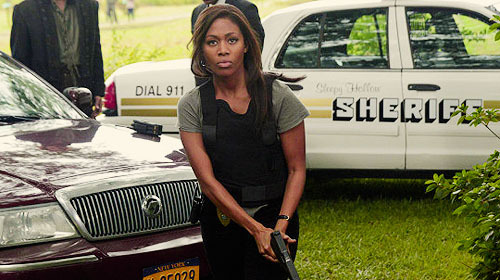 Abbie Mills. . Wallpaper and background images in the Sleepy Hollow (TV Series) club tagged: sleepy hollow 2013. This Sleepy Hollow (TV Series) photo contains magari, gari, auto, suv, lori, motokaa, otomatiki, hatchback, hatchback mlango, hatchback door, and hatchback. There might also be kompakt, kompakt gari, mango, mango gari, minicar, and ski rack.